This Mach III Deluxe Badger Stainless Shave Set is one of the finest, the badger brush is very soft, and it holds water to create the perfect lather for shaving, nothing feels as good as a badger hair brush on your face, it makes shaving a pleasure rather than a chore. Each piece of this kit is sturdy and heafty in the hands. It will last for years. A very good set that will last! 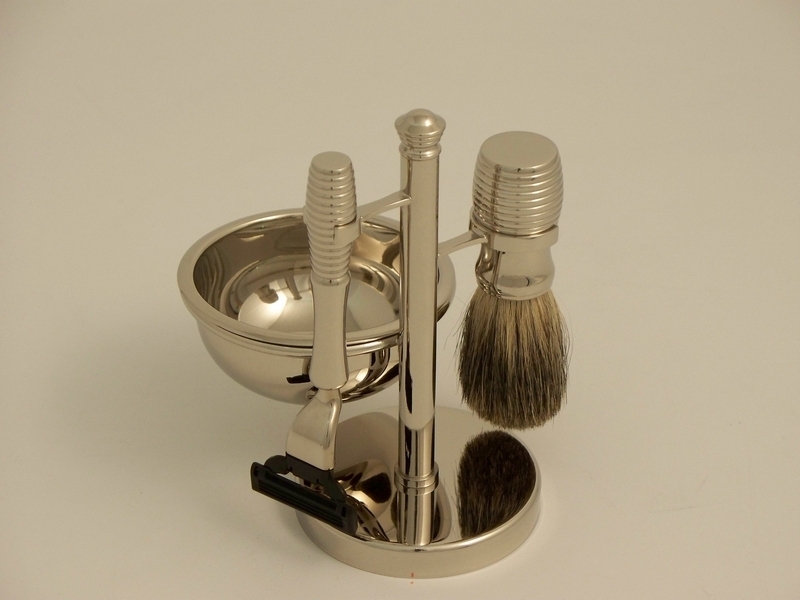 This Mach III Deluxe Badger Stainless Shave Set is one of the finest, the badger brush is very soft and the items have some weight to them. A very good set that will last!